In the spring of 2012, the Harwood Museum of Art in Taos, New Mexico, mounted a landmark exhibition, “Agnes Martin: Before the Grid”, marking the 100th anniversary of the groundbreaking artist, Agnes Martin (March 22, 1912- December 16, 2004). The exhibition was the first of its kind to gather together the earliest known works by the reclusive Taos based artist. Soon after the close of the exhibition, the prescient curator of the Harwood Museum of Art, Jina Brenneman (a dear friend and a wonderful artist in her own right), joined forces with her friend and colleague, the award winning photographer and filmmaker, Kathleen Brennan, to document the personal stories and anecdotes first revealed by Agnes Martin’s close friends during preparations for the museum show. It was from those initial conversations and interviews, that the film “Agnes Martin Before the Grid” was launched. In August of 2015, Jina (now an independent curator), invited me to join the production team. I helped to research images, gather permissions, and then to my absolute thrill, was given the great honor to be the “voice” of Agnes Martin for a couple of voice overs in the film. It was a remarkable experience to participate in the making of this special and important documentary. On September 15, 2016, the film had its world premier in Agnes Martin’s beloved Taos, New Mexico. The film has since toured various nationwide venues, received several documentary film awards, and is scheduled for viewing on PBS television stations. “Agnes Martin Before the Grid” is available for streaming on Kanopy, and available as a DVD. Please visit www.beforethegrid.org for more information. 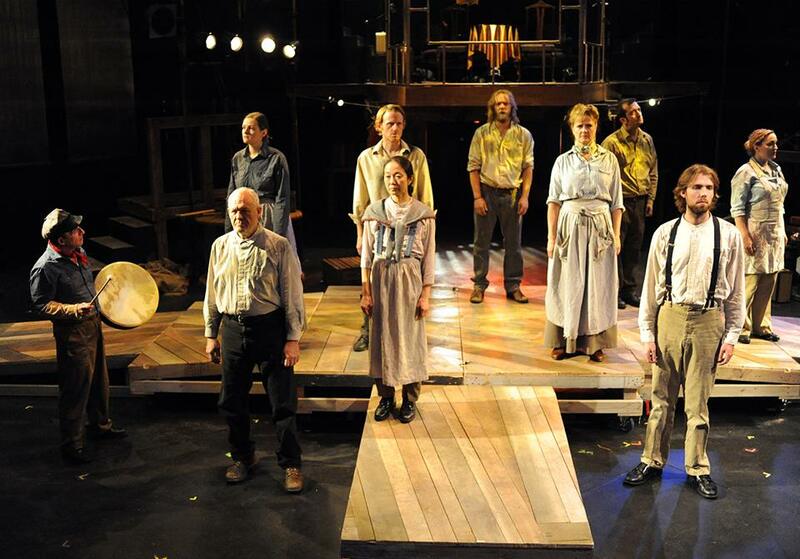 Shortly after mounting a large scale solo show at the Colorado Springs Fine Arts Center in June, I was fortunate to be cast in “Ludlow, 1914”, an original play commemorating the 100th anniversary of the Ludlow Massacre. The ambitious play sought to shed light on the now largely forgotten event – one of the most important and momentous in Colorado history. The devised new work was created by Brian Freeland and The LIDA Project – a meta media art collective dedicated to experimental live performance. The production consisted of a cast of 18 actors playing multiple roles and an even larger technical design team and crew. Through an expressionistic and physically-based series of scenes – a dramatic vaudeville – the play wove together a variety of narratives and layers of meaning regarding natural history, coal extraction, workers’ rights, wealth inequality, and many other relevant issues. I am so grateful to have been a part of this unique and exciting collective endeavor. It was a great adventure and a wonderfully enriching collaborative experience. There were 14 performances at the Dusty Loo Bon Vivant Theater, September 11 – 28, 2014. 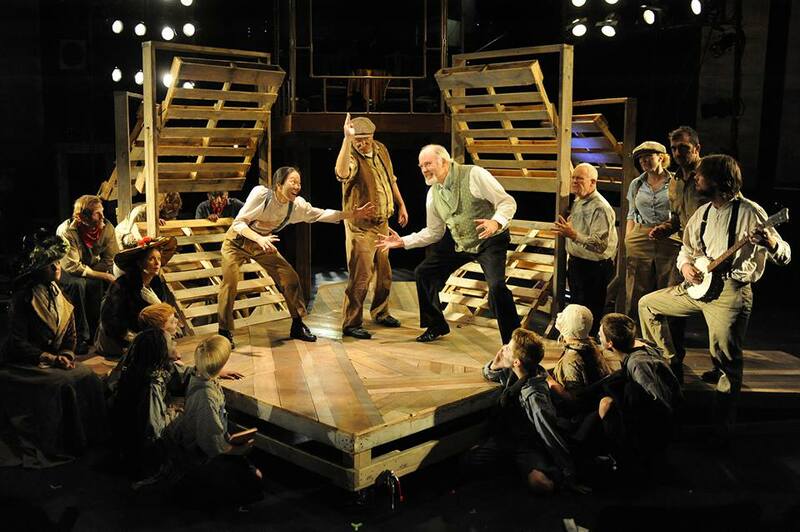 “Ludlow, 1914” was honored with a 2014 True West Award. 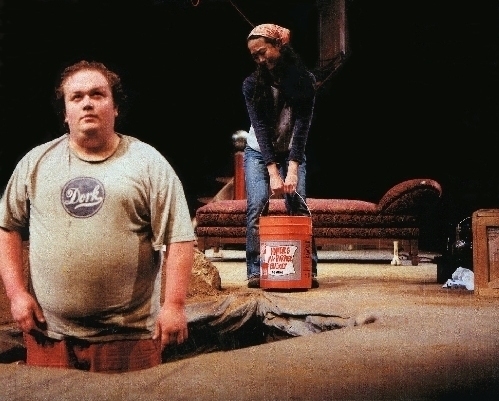 “Everyman”, the 16th century anonymous morality play, was brought into a contemporary setting by Murray Ross for the Theatreworks production of “Everyman on the Bus”. It was insightfully staged on a real city bus – where the audience filled the seats and the actors performed in the aisle and boarded and disembarked the bus at prescribed stops. The redemptive journey of Everyman, then, became the audiences’ journey too, as Everyman faced his life’s reckoning and the reality of his own mortality. The cast consisted of 15 actors, many playing multiple characters. I performed the role of “Knowledge”. I am so grateful to have been a part of this wonderful and very special production and to have had the opportunity to work with such a fun and dedicated cast and crew. There were 38 shows that ran from February 21 – March 17, 2013. The bus and the show carried on throughout all manner of weather: rain, wind, snow, and even a blizzard! The production of “Everyman on the Bus” was the winner of the 2013 Pikes Peak Arts Council Award for Outstanding Technical Achievement. In mid-July I was contacted by Murray Ross, a good friend and the Artistic Director of Theatreworks at the University of Colorado / Colorado Springs, who was in the process of writing an original play celebrating the life and work of the famed inventor Nikola Tesla. To my surprise and delight, he invited me to participate in the play, “I Am Nikola Tesla”. Several months prior to our conversation, I had told Murray that the theater had compelled me many years ago. And now he thought that there might be an acting role for me in his new play. In the 2 months that followed, through many discussions and improvisation sessions that included the 5 participating cast members, a play was born. To be an integral part in the creation of a new play and a new character was an amazing experience and truly an honor. Even the seasoned actors commented on the uniqueness of the endeavor. Every moment of this collaborative ensemble project—from initial improvisations, hours spent rehearsing the ever-evolving script, to the finished play’s successful performances, was incredibly special. 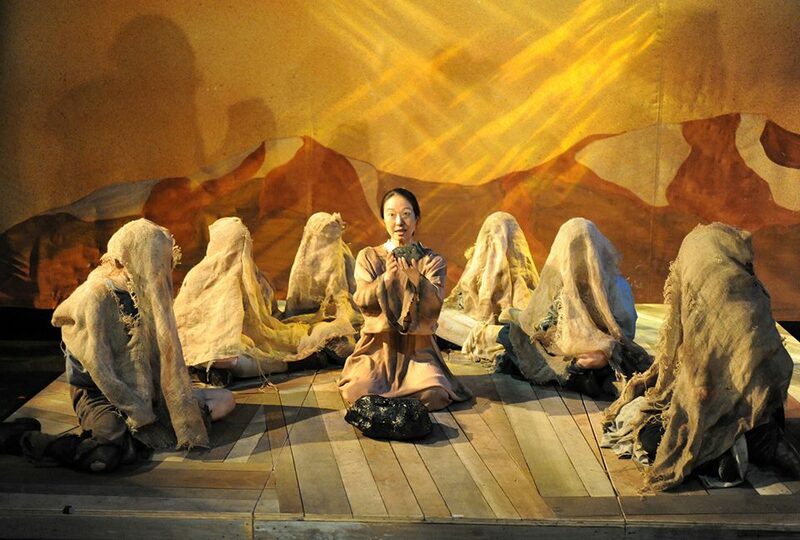 There were 15 performances at the Dusty Loo Bon Vivant Theater from September 16 – October 3, 2010. The cast included: Michael Cobb – Nikola Tesla, Sammie Joe Kinnett – Luke, Ludmila Bokievsky – Andjela, Bob Nash – Rex, and I played the role of Izzy. In an interesting side note, Murray informed me that my performance on the Theatreworks stage was the first by an Asian actress in the theater’s 35 year history. I am deeply moved to find myself in that notable position. So very grateful to have been given the opportunity to appear on the Theatreworks stage. “This play is the result of an invention from the Pikes Peak Library District to create something theatrical about Nikola Tesla and his visit to Colorado Springs in the summer of 1899. He came to our town to test and develop his new radical theories involving the wireless transmission of energy. Reports of mysterious activity in his laboratory in his laboratory east of town have become the stuff of legend. Tesla himself was an extraordinary character, something of a European dandy, a visionary thinker, a marvelous self promoter, and the prototype of the mad scientist. Very early in our process we decided not to create a documentary play—that sort of thing has already been done, and very well, for television. We felt that since Tesla was so much about the future, so deeply committed to innovation, the proper was of honoring him was to create an entirely new play, set in the present. And so we have.